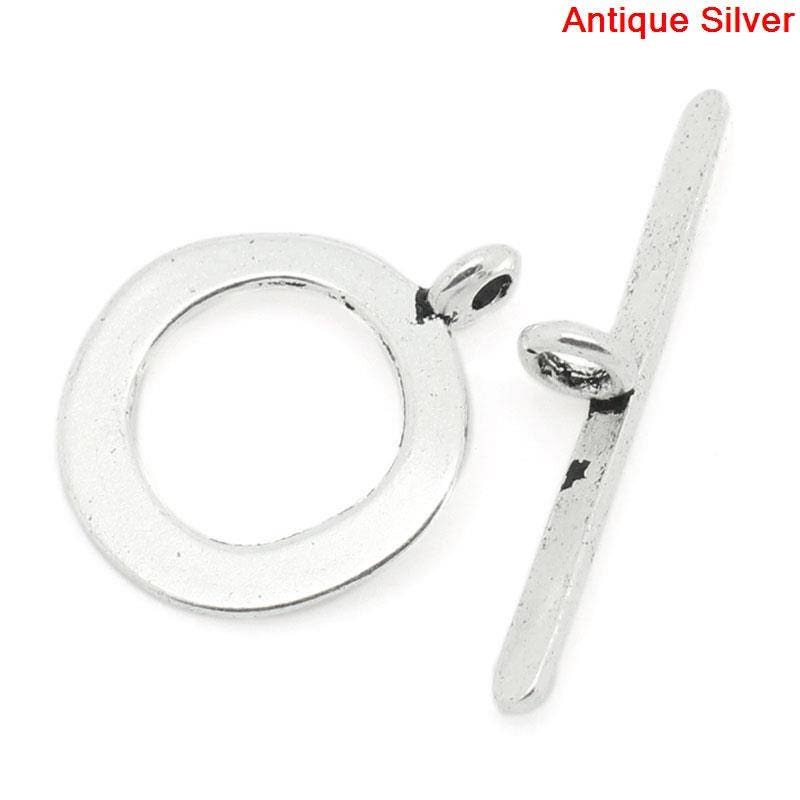 Antique silver round hammered look toggle clasps, zinc metal alloy (lead and nickel safe). 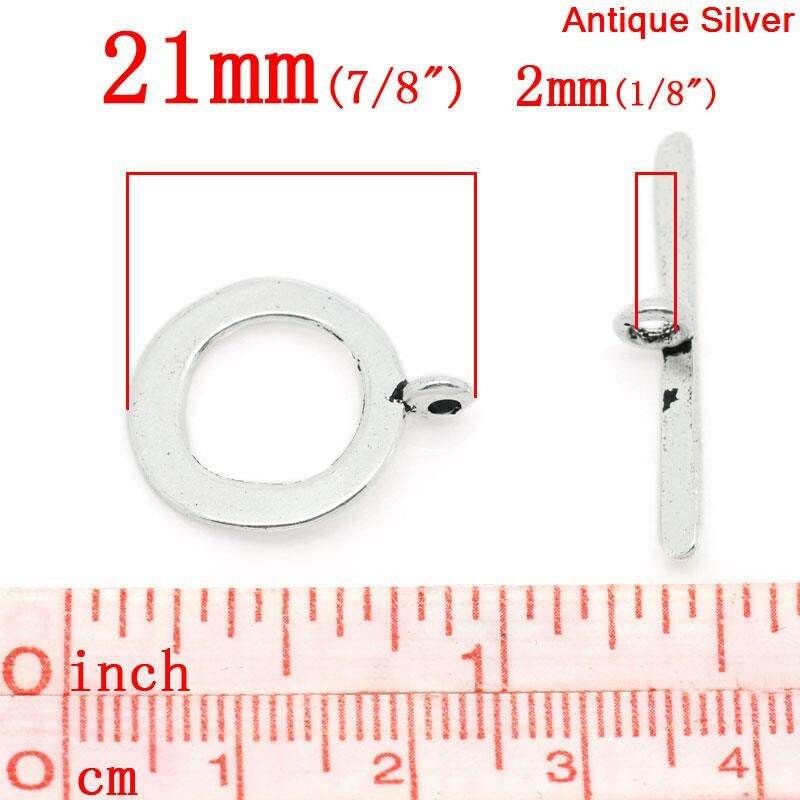 The bar measures 17mm and the toggle ring measures 21mm. 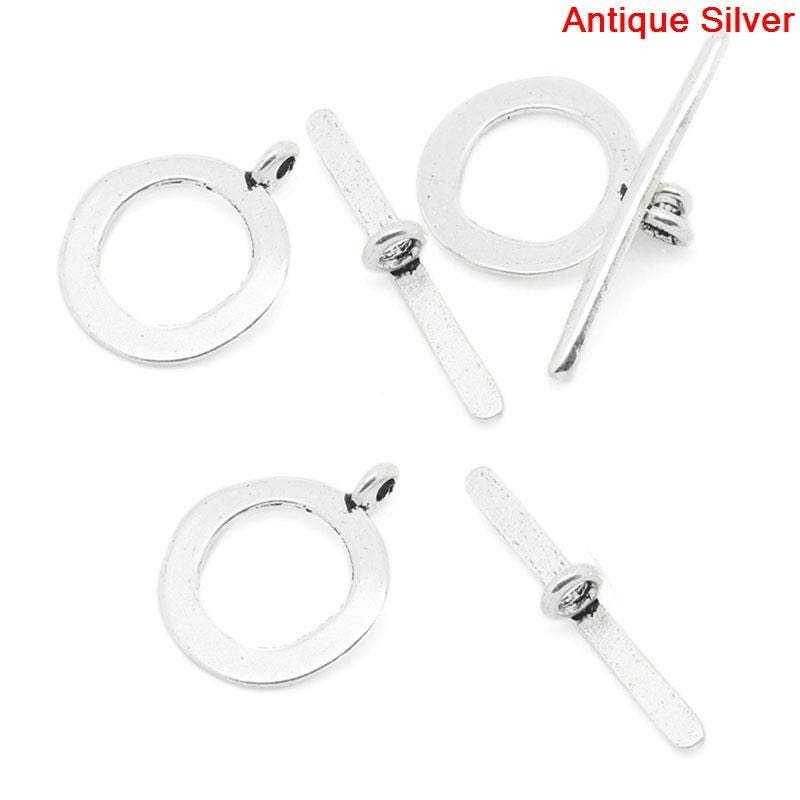 You will receive 10 toggle clasp sets with this listing. nice little clasps & can't beat the price - thanks for quickly filling another great order! Disappointing but just as shown in the picture. I thought it would have more of a hammered look but that is not the sellers fault. It's mine. I love these. Very nice quality. Super-fast delivery.